HTC Ville images and specs have just leaked by the way of some guys at BGR. This handset was first known as HTC Villa. It will be the first handset from the HTC House which will run on Android 4.0 Ice Cream Sandwich operating system. It will hit the market next year and the company will launch it at Mobile World Congress MWC 2012 in Barcelona. The specs of it are quite similar to HTC Hurrkian concept which was highlighted byme some days ago. HTC Ville ICS handset will come with HTC latest Sense UI 4.0. On board you will see a 4.3-inch qHD Super AMOLED display and an 8 megapixel backside-illuminated camera. You will be able to enjoy Full HD (1080p) video recording and playback and Beats Audio via this handset; although you can get the beat Audio with HTC Rezound as well. Fast speed processing and web browsing is on hand with the mean of a 1.5 GHz dual-core Snapdragon S4 (MSM8960). It will be encased in Metal construction case. HTC Ville Android 4.0 handset will be only 8mm thick and will come with a 1650 mAh battery. There is no hardware button on the phone and you will not get the NFC support with this handset. 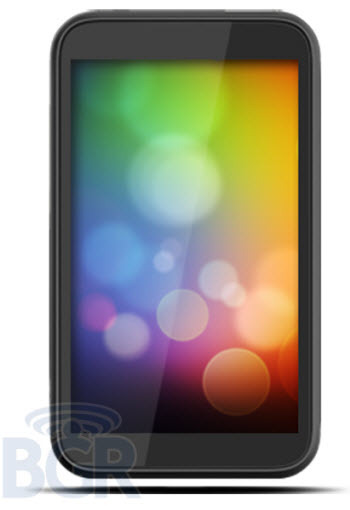 It is rumored that this handset will launch during April 2012.